Africa is a continent which everyone should try to get to at least once in their lives. This diverse and fascinating place offers a huge amount of destinations, where there is something suitable for just about any type of traveler. Wildlife livers can enjoy seeking out the big 5 on a safari, sun worshippers can find glorious beach spots throughout the coastline, and those looking for adventure can find it throughout the continent. If you fancy heading to Africa in 2018, these are our top picks for where you should look to go. Unfortunately Rwanda is better known for its genocide which took place in 1994, rather than the impressive and forward thinking country which it actually is. Rwanda is arguably the most progressive country in the whole of Africa, English is widely spoken here, they have female politicians, dependable and safe public transport with wifi and they are committed to being eco-conscious, having outlawed plastic bags over a decade ago. The cities in Rwanda are cool and trendy and the national parks here make for perfect places to wildlife spot and take treks. Right in-between the East African savannah and the rainforest of Central Africa, Uganda is truly a spectacular place to discover. During your time here you should most certainly head off on a Uganda safari, which will see you get up close and personal with big game animals such as leopards, lions and hippos. Uganda is home to mountain gorillas too, which are absolutely breathtaking when you set eyes upon them. The most remarkable thing about Uganda for me is the scenery, which is other-worldy. From mountain ranges to enormous rivers, forests to wetlands, you can find it all here in Uganda. Right up in the north of Africa you’ll find Morocco, a diverse and culturally rich nation which is more akin to an middle eastern country than an African one. Here you can take some time out in the coastal cities such as Agadir and Casablanca, with white sandy beaches and plenty of activities taking place. Alternatively you could head to the bustling streets of Marrakech, which will make you feel as though you have stepped back in time to a world which was far easier, and far more relaxed. Moroccan culture can be found in the architecture and the art installations, as well as the food and the markets that you will find throughout the cities. Tanzania is a wonderful place for a vacation and if you are lucky, you may even get a chance to watch the great wildebeest migration, right in front of your eyes. 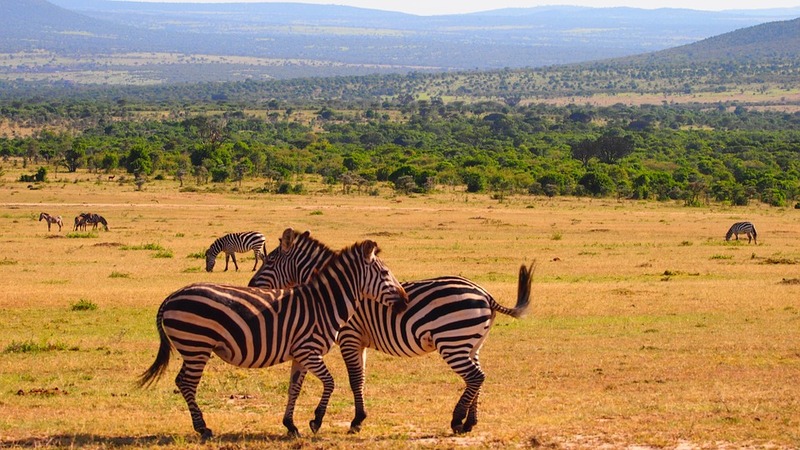 Beyond the movement of over million wildebeest, you can also find some great places for a safari in Tanzania, in one of the many national parks that you will find here. Tanzania is a much cheaper option than some of the other safari nations in Africa, which makes it accessible to everyone. Have you been to Africa before? What was your favorite country?